Only $932.00 Palram Snap & Grow 8' x 8' Hobby Greenhouse - Silver 763552700254 HG8008 Poly-Tex, Inc. 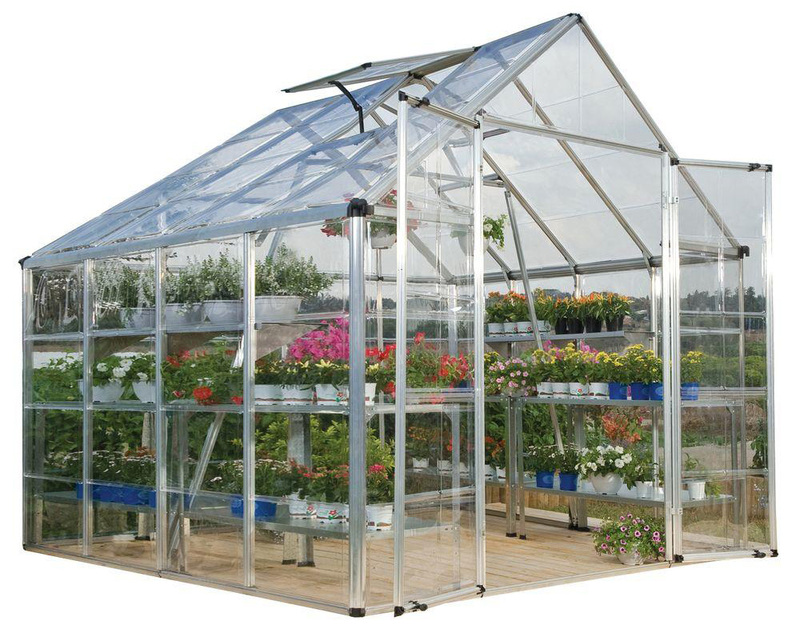 The Snap & Grow 8' x 8' Silver Frame Hobby Greenhouse features the SmartLock connector system. Heavy duty aluminum frames assemble easily without a lot of hardware. Crystal-clear SnapGlas panels slide right into the frame, lock into place and are virtually unbreakable. The 8' wide greenhouse offers double hinged doors. You can later expand your Snap & Grow in 4' increments to build the hobby greenhouse to suit your individual needs. Aluminum framework, clear single layer polycarbonate panels, swinging front doors, rain gutter and one roof vent are standard features of the Snap & Grow. Has an easy to use set up manual. Available in standard silver or a more natural green powder coat. Make any backyard a sanctuary-in a snap!